Today we’d like to introduce you to Pierre Bounaud. I was born and raised in the South of France, in the Provence countryside. I came to the US in 1993 as a Chemistry student, spending 5 wonderful years on Long Island before driving cross country with my diploma in hand to start a new job in the pharmaceutical industry in San Diego. 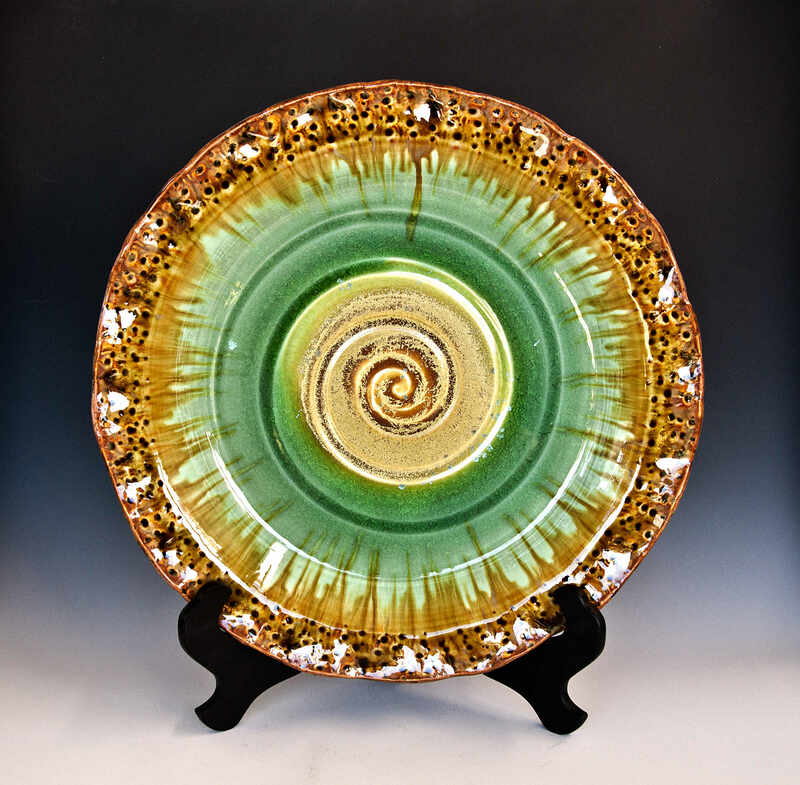 Pottery was not on the radar until 2004 when I took an introduction class to ceramics at the Educational Cultural Complex, as a way to bring more art into my scientific life. I got hooked pretty fast! A few years later I started taking classes at Clay Associates, a clay center in Normal Heights, to further develop my skills. The passion for clay took me over completely and in 2010 I turned a room in my house into a small independent ceramics studio, with my own kiln and potter’s wheel. What started as a hobby became a full time occupation. In 2011, I juried in as a member of the Spanish Village Art Center in Balboa Park, and later joined Studio 40 in the Spanish Village Art Center as a partner (SVAC has a multitude of small art studio galleries around its colorful courtyard, each studio is mostly shared by 2-5 local artists as a way to display and sell artwork). 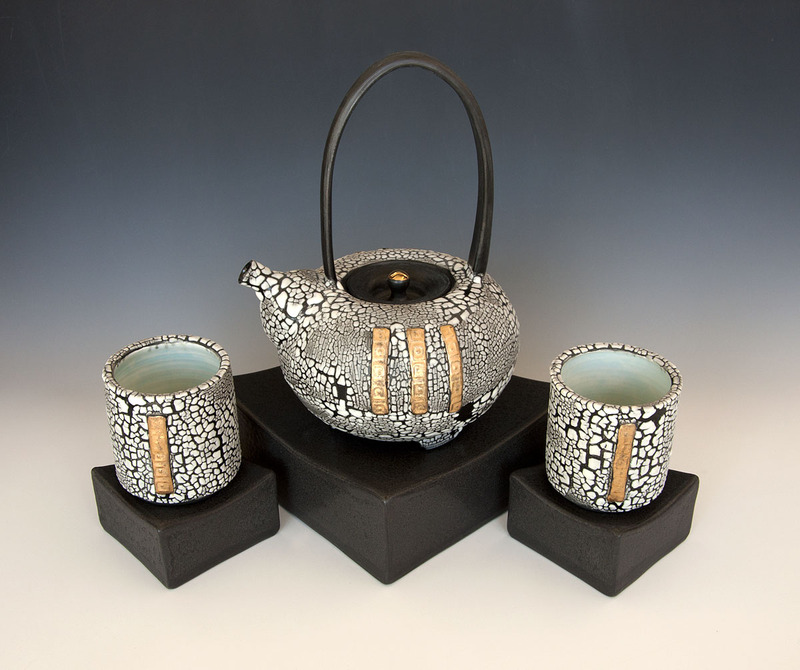 Around the same time, I joined the Board of the non-profit Clay Artists of San Diego and has been active within the organization since then, educating the ceramic community and bringing awareness of the ceramic arts to the public. 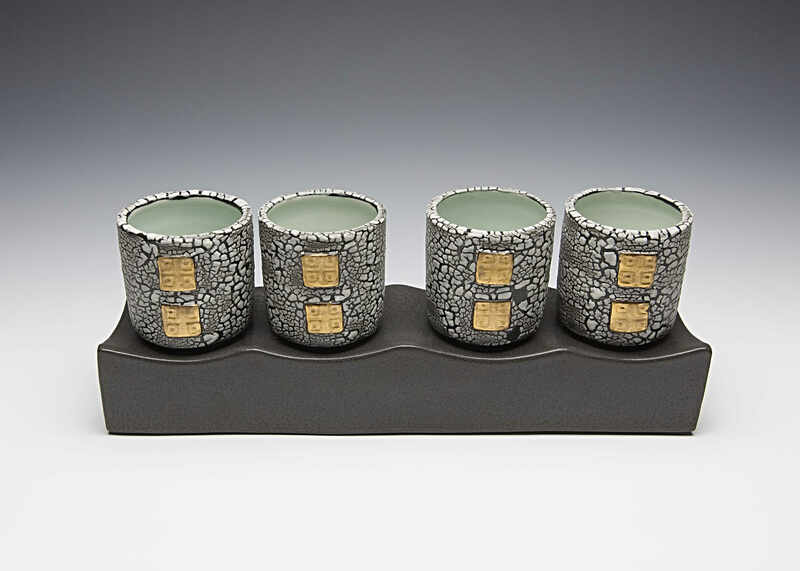 In 2014 Pierre was accepted as a member in the San Diego Potters’ Guild, exhibiting in the guild’s gallery and twice a year during the guild’s semiannual sales. For the last 7 years, I have also participated in the city-wide annual San Diego Pottery Tour since 2011, where potters open their private studios to the public during one weekend in December. 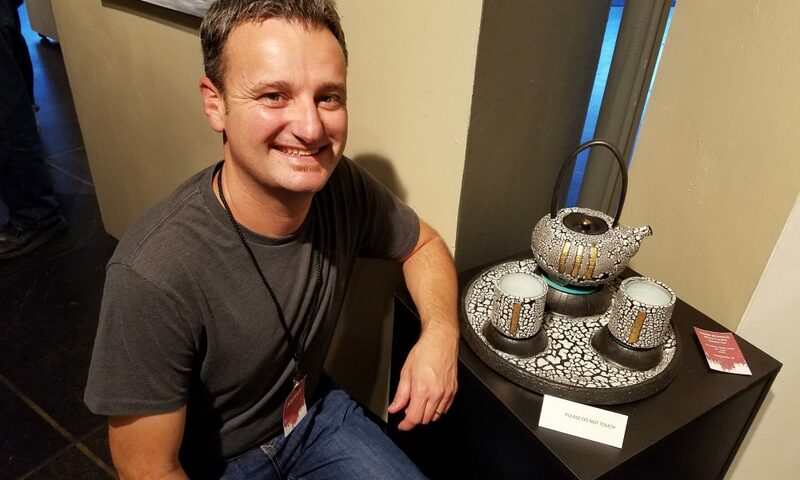 My artwork has been featured in multiple galleries and venues, including the Japanese Friendship Garden in Balboa Park, the San Diego Art Institute in Balboa Park, the Borrego Art Institute in Borrego Springs, the American Museum of Ceramic Arts in Pomona, the Kellogg University Art Gallery in Pomona, the Front Porch Gallery in Carlsbad, and the City of Brea Art Gallery. I also received multiple ribbons over the years at the San Diego County Fair, including 2nd and 3rd place in Ceramics. A big project for this year is my first duo show in September at the Studio Door gallery in North Park. 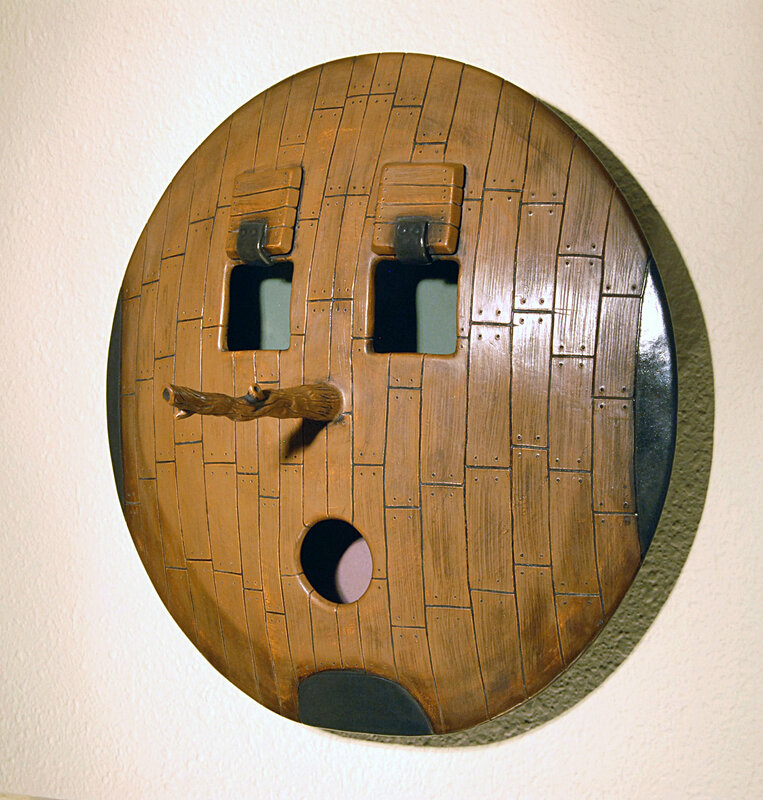 I am partnering with a painter to present a dialogue between 2D and 3D artworks to the public. We are literally doing everything for the show! From the work itself to the setup and marketing. It’s very exciting! Transitioning from a full time job in pharmaceutical research to independent and full time ceramics artist has not been a smooth road! This is a complete change in lifestyle and viewpoint. The safety net is gone, but being free from corporate America is priceless. I became my own boss. The transition was gradual, with residual contract work while I was getting on my feet in the studio. Luckily for me I have a very supportive partner who believes in me. I wish I could say that I am 100% working as an artist (and I hope one day I will), but it was not sustainable financially, and I had to find the right balance. So, for almost a year now, I have been experimenting splitting my days between a part time job in the morning and studio time in the afternoon and evening. It has slowed down my output, but I gained a financial safety that allows me to pursue more opportunities and invest into myself, like taking workshops, traveling to clay conferences, or buying more equipment. 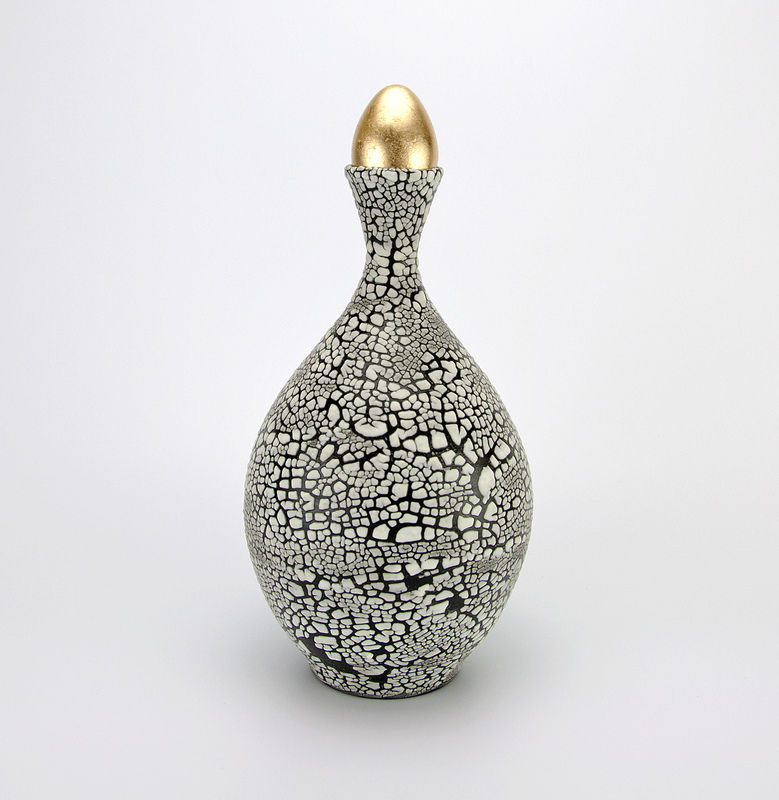 As a ceramic artist, a big part of my time is spent making and developing ideas in the studio. However, being also an independent business, I wear all the hats. So I do have to spend time on the marketing side (social media, website), restocking at my points of sale, and applying to call for entries at galleries and venues. Currently, I sell mainly through the SD Potters’ Guild, Studio 40 in Balboa Park, the gift shop at the American Museum of Ceramic Arts (AMOCA) in Pomona, and on Etsy. I produce different lines of work based on a specific design. Several lines are functional and can be seen in Balboa Park and on Etsy. Some other lines are more decorative and can be seen at AMOCA or at gallery exhibits. For example, I am known for a line of porcelain ware with a cheese theme that I call the bistro line. Big cheese platters, small individual cheese plates, individual cheese tags that are very popular. The design is centered on vintage images that were found on French cheese boxes when I was growing up. 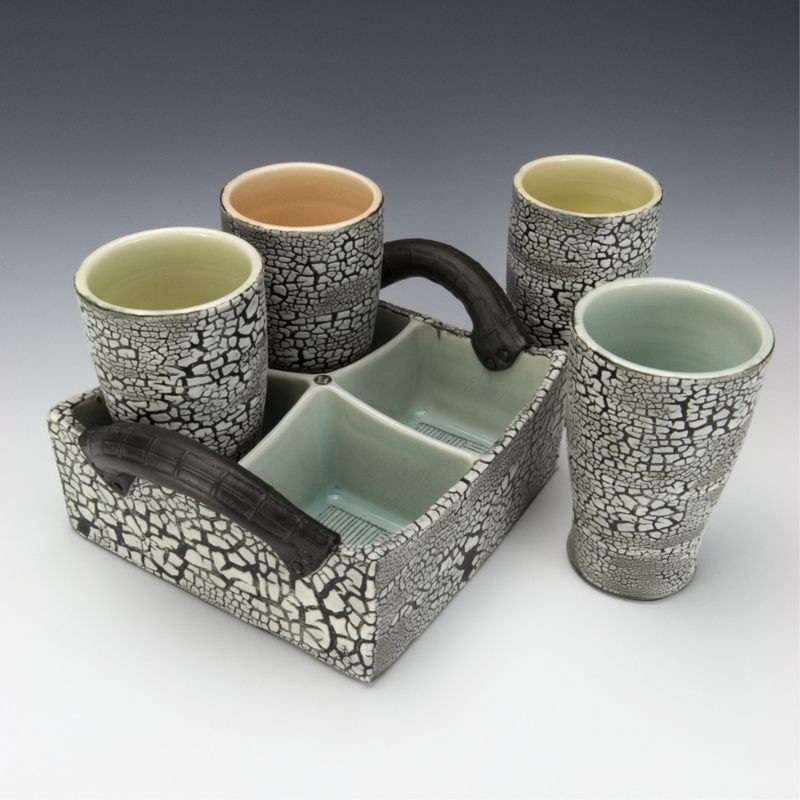 Another line of ceramic wares is based on a white glaze that crackles and beads over a black background and give the impression of either snake skin, bark, dry earth, or snow falling, depending on the person. That particular line is also very popular as it is uncommon and you cannot help it but want to touch it. 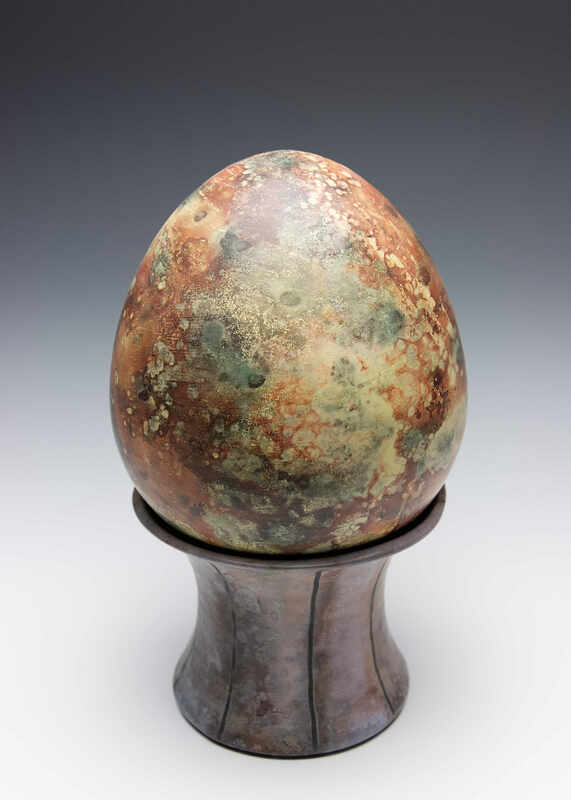 Another line of work that is purely decorative is based on a technique that I perfected to give a wide variation of colors to the clay that makes it look like marble. All those examples are very different technically from each other, and I think that’s what sets me apart. I do not specialize in one technique, but I like to learn new techniques and incorporate them in my practice as I develop new ideas and designs. I am known in the local ceramic community as a glaze specialist. I believe my background in chemistry has to do something with it 🙂 People often ask for my help with their glazes. I also teach a few workshops on ceramic techniques to spread the knowledge of the art. I grew up in a very small village, with less than 500 people, in the countryside. There were only two other boys my age and we would hang out occasionally. My brother was two young, so most of the time I was left to my own devices. So I would create imaginary worlds and friends for entertainment. I would read a lot, which fed my imagination even more.